Riley, 74, both a championship player and coach with the Lakers, said his only contact was a conversation with Magic Johnson after his former championship point guard stepped down Tuesday as Lakers president. "I'm not going to comment on another team's misfortune while they're going through some adversity right now," he said, with the Lakers on Friday parting ways with coach Luke Walton. "There's no doubt that I have a history with that team. I was there for 20 years and I have a lot of friends still in the organization. "I had a good conversation with Magic after he stepped down and I'm sure they'll work it out." 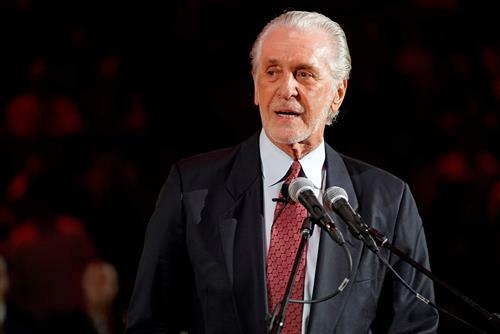 There had been speculation of Riley moving back to California for a role with the Lakers, speculation he addressed during his season-ending media session at AmericanAirlines Arena.